Linky’s everywhere but which ones to use? If you are a new blogger or simply stuck in a blogging rut then this one’s for you.When I first started out with this blogging thing, so many people recommended that I got involved with Linky’s and to be honest I had no idea what they were talking about. The lovely Cuddle Fairy has written a post about what Linky’s are and how to use them, which I’ve linked in my previous post So You Want to Have a Successful Blog? If you are new to the concept then definitely go and check out her post – there’s no need for me to reinvent the wheel by telling you here. Anyway, I love getting involved in Linky parties (yes, they are actually called that). It’s a great way to interact with other bloggers and also to get your posts seen. The more you read and comment, the more you will find others will return the favour so it’s a really proactive way of increasing your blog traffic and putting your stuff out there. “Great!” I hear you say but where do I find them and which ones should I link up with? If you run a Linky or know of any other really great ones to join in with, why not let me know in the comments box below? 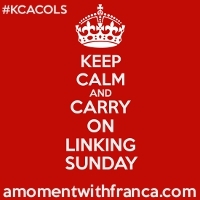 I’d love to hear from you and in the meantime, keep on linking! Previous Post Breast v Bottle. Can’t we just stop going on about it?! This is great! I keep forgetting what’s on when! I’ve just started one with Whinge Whinge Wine on a Tuesday with #chucklemums – a linky for funny posts! I have to really start joining in with linkys I’m just not sure which to do I’ll have a look at these ones. Thank you so much for including family fun and for the wonderful compliment too. Great informative post perfect for new bloggers!!! Wow I never realised there was so many fab linkys. Just book marked this post so I can come back and join in on some new ones. I used to run a linky and found it so much work each week. I want to try and join in with a few more but just never the time to add my link and them comment on others. There are some great linky’s here! I host and Kirsty co-host’s #justanotherlinky which starts Saturday until Monday 🙂 We usually have over 70 link up each week and is pretty popular! Thanks for including #abrandnewday on the list! I’m new to this and not well known! It might get me out there! Lol! There are loads more that you could add, it’s very overwhelming! Feels like there should a linky for all the linkies! Is that even possible? Sorry relatively new to this! This is a great post – I can never remember when all the Link-ups are on and if they don’t flash up in my twitter feed I totally forget, so thank you for that. Returning from #KCACOLS One of my favourite linkys!! A very comprehensive list. I can never manage to do as many as I want to. 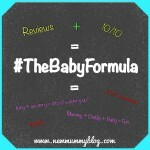 They really are fab for finding new blogs and getting posts out there. It’s my first time at #KCACOLS where I found this!! I have bookmarked this, and I’ll use this as a go to in the future. A useful post, thanks for sharing! I do use a lot of these but I also use #ChuckleMums on a Tuesday, #MMWBH (Mad Mid Week Blog Hop) by Super Busy Mum on a Wednesday. Jade Lloyd recently posted…A Big Boy’s Birthday with @Bakerdays. A comprehensive list of linkys you’ve managed to put together here, there are a few that I’d not heard of before. I run a monthly linky called #OurFavFive which is live the last Friday of each month. You can link up you top 5 favourites of the month or any top 5 list. Would love to have you come and check it out. I’m on most of these! tracey bowden recently posted…HIIT Workouts: What Are They and Why Do I Love Them? Ah Fi thanks for including my linky! This is really helpful as I haven’t made a list for linkys yet and have been doing them ad hoc, or when someone tweets me! haha Thank you for sharing!